Fringe is a row or line of articulated ornaments hanging loosely from the edge of a jewelry item or garment. Fringe can be all one length or it can vary in length resulting in a pattern being formed by the lower edge. A cluster of fringe bound together at the top is a tassel. 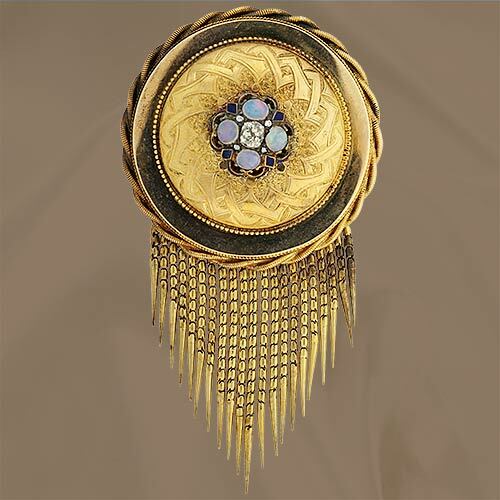 Victorian Circular Pin with Diamonds, Opals, and Beard Fringe.